War-date Confederate Documetn Signed “Wm. Miller Capt & A. Quartermaster” 1pp. 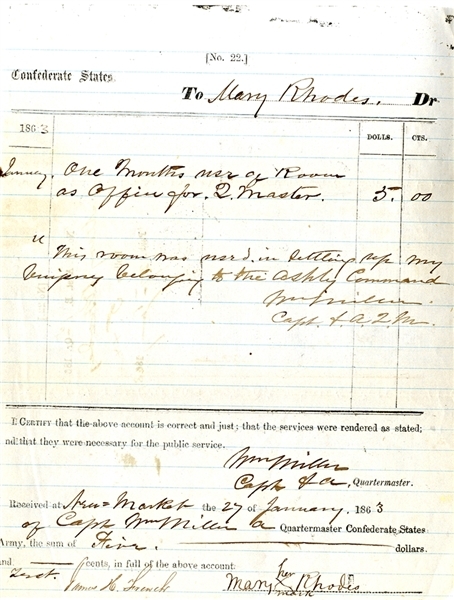 quarto, January 27, 1863, New Market, Virginia, being rent for Captain Miller and reads “This room was used in setting up my company belonging to the Ashby Command.” Fine condition.